BRS murdered for shoes, I approve! FujisakiKunOh-ho, I see! Can I have the link to the figure? MicronianI hacked off her leg armor with an X-acto knife --> picture, but I haven't gotten around to sanding them smooth and re-painting. So I took a picture of a gashapon figure that had similar thigh-highs, and photoshopped them over BGS legs. Oh-ho, I see! Can I have the link to the figure? Man, seeing BRS dead like this makes me kinda depressed. japticdid you get those tiles for those figures? or do u just happen to have those in your house? I bought them at Home Depot. I think they were like 50 cents each. FujisakiKundid you photoshop out the kneeguards or did you actually remove them? I hacked off her leg armor with an X-acto knife --> picture, but I haven't gotten around to sanding them smooth and re-painting. 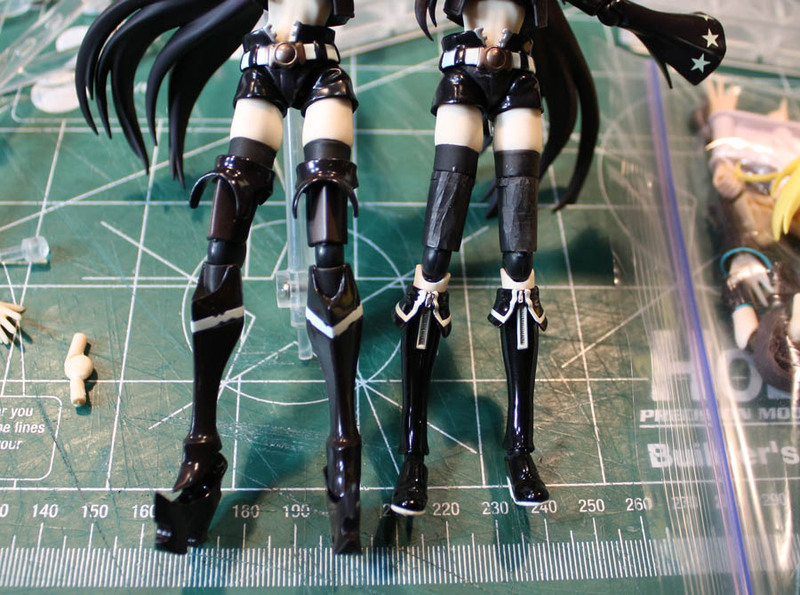 So I took a picture of a gashapon figure that had similar thigh-highs, and photoshopped them over BGS legs.